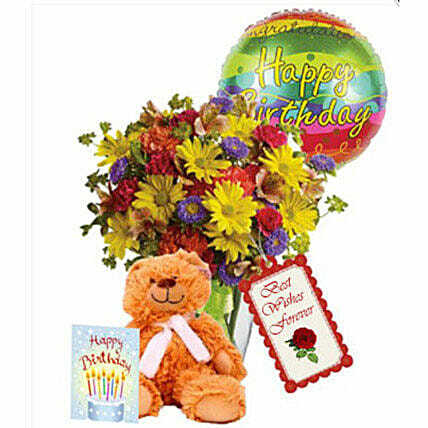 Give heartfelt birthday wishes to your friends, family members and beloved with this cheerful combo of 18 assorted flowers, teddy bear, and balloons. This present will add colors to their celebrations and make it a memorable occasion of their life. You can order it online to deliver happiness right to the doorstep of your loved ones.